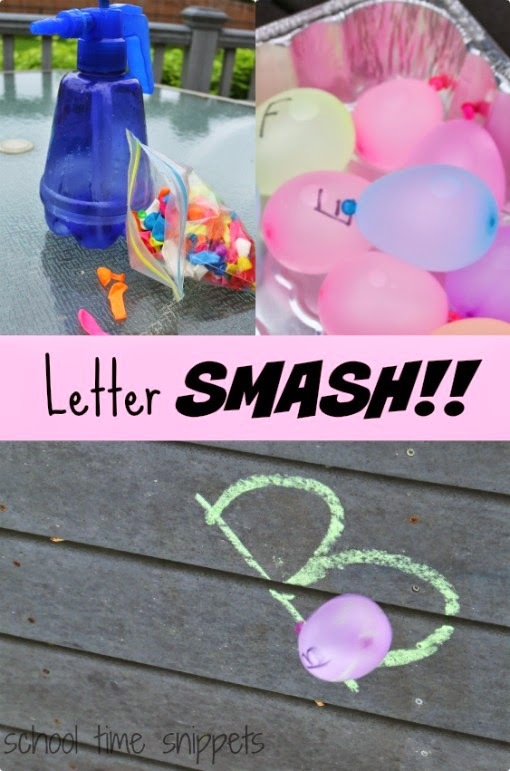 My kiddos LOVE playing with water balloons and today's Creative Preschool Water Theme mixes water balloons with the letters of the alphabet in this fun Water Balloon Letter Smash! We've been working on letter recognition with Little Sis for a while now; there's a handful of letters she does recognize, but others we still need working on. So this activity was a great way to enjoy the outdoors, get her moving, and work on letter recognition! With our handy dandy, water balloon pump, we filled 26 water balloons and on each balloon wrote a letter from the alphabet. Once the balloons were ready, I enlisted Big Brother to help write the letters of the alphabet in chalk all over our deck. 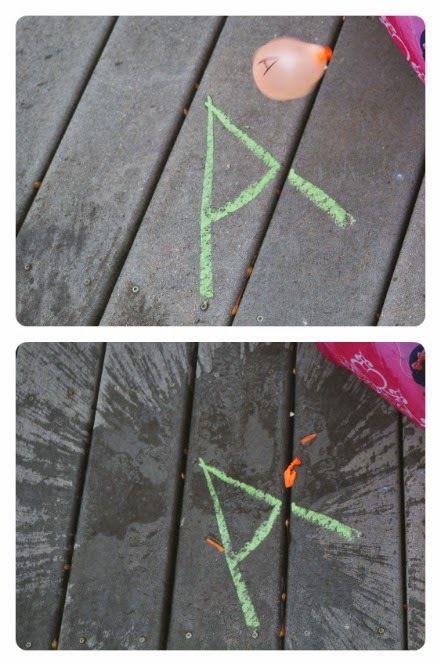 Next we called Little Sis over to pick a water balloon, said the letter name together, and then she had to find the letter on the deck and throw it SMASH! it on the ground!! 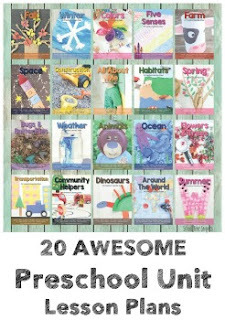 Such a fun activity and a great way to add in some sneaky learning with summer approaching!! For more Water Themed Creative Preschool Activities, check out the other activities from our co-hosts! 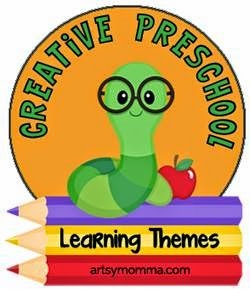 As mentioned when we began, we joined the Creative Preschool late in the game and today is the last post for this series! Be sure to check out our Rainforest Themed Math Activity and our Outer Space Craft in case you missed them!